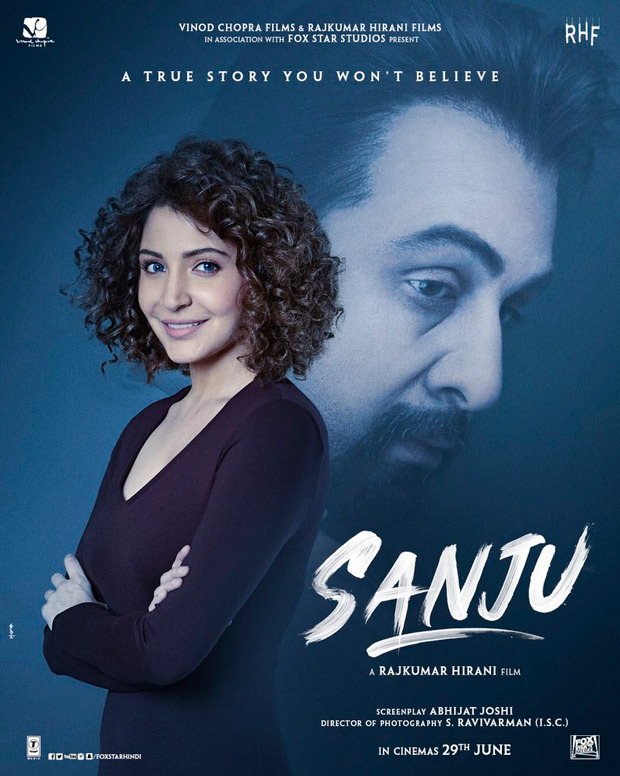 Is Anushka Sharma playing Madhuri Dixit in this Ranbir Kapoor starrer Sanjay Dutt biopic? Ranbir Kapoor’s Sanju trailer will be released tomorrow and we can’t wait to be blown away. The expectation is high and the teaser has already created a lot of buzz. The movie will release on June 29 and will star Ranbir Kapoor as Sanjay Dutt. Filmmaker Rajkumar Hirani released looks of all the key characters of the film who played an important role in Sanju’s real life. Today, he release Anushka Sharma’s look from the film and judging by her curly hair and wide smile, our instant guess goes to Madhuri Dixit who was associated with Sanjay Dutt in the nineties. A few magazines even married them off back then. Madhuri-Sanjay affair rumours were very strong back then. Anushka has denied playing an actress or a reporter in the movie in her past interviews and has claimed that her role is fictitious, and is a part of the storyline only to add gravitas to the screenplay. When Hirani released this particular still, he left it for us to guess who Anushka Sharma will be playing in the film. Sharing the latest poster on Twitter, Rajkumar Hirani said, “And here is my dear friend Anushka. It’s a special appearance….but she worked on every nuance of the role for days together. Can anyone guess who she plays?….Will reveal tomorrow at the trailer launch. @AnushkaSharma #RanbirKapoor #RajkumarHiraniFilms @VVCFilms @foxstarhindi”. he biopic depicts the various stages of Sanjay Dutt’s life, the teaser of which has already piqued the interests of the audience. Sanju showcases the highs and lows of Sanjay Dutt’s life, giving an insight into the unbelievable story of the actor. Produced by Vinod Chopra Films and Rajkumar Hirani Films in association with Fox Star Studios. Sanju is all set to be released on 29th June 2018.